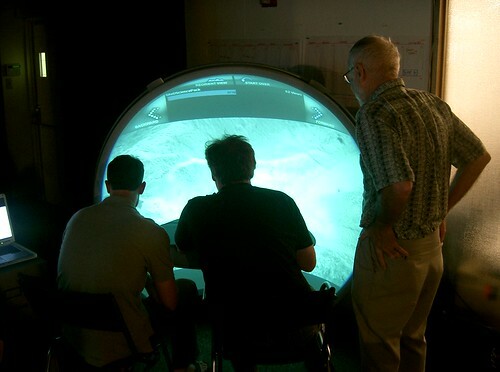 Software and interface development: Luisa Lu, David Seneker, Kevin McCloskey, and Eben Myers. 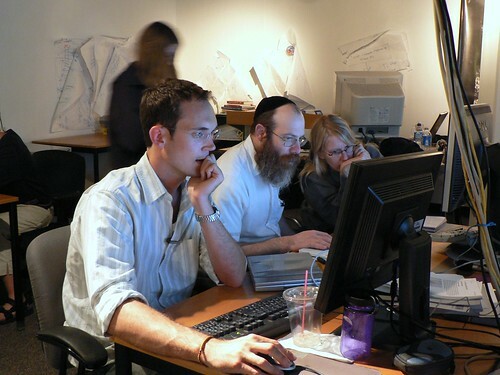 Special thanks for Trey Smith, David Thompson, and other members of the LITA team. 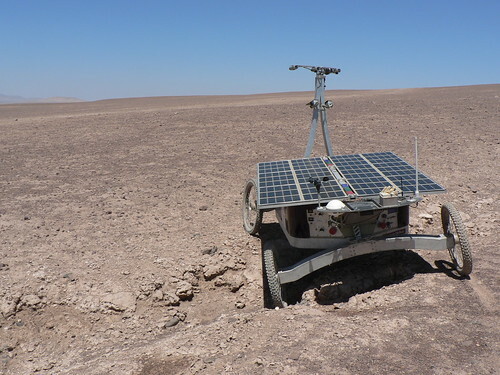 The EventScope educational telepresence project had been involved with education and public outreach for a number of NASA-sponsored missions including the Mars Exploration Rovers, the Odyssey orbiter, and the Life in the Atacama (LITA) project. 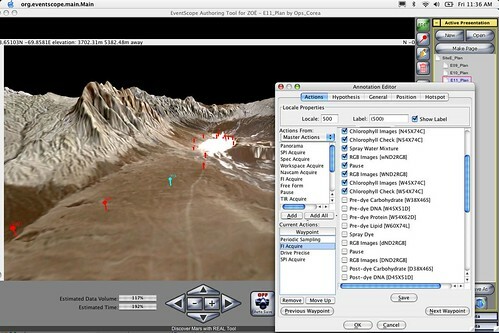 However, during LITA, a modified version of the EventScope public interface was used as the remote science operations interface. 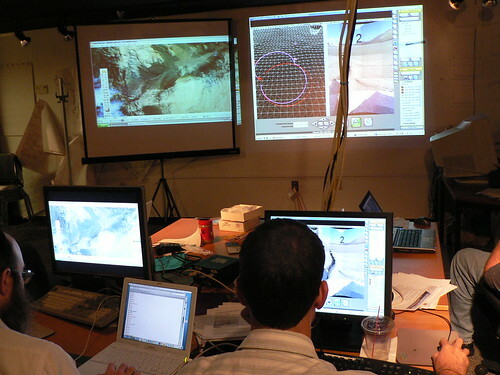 In addition, the EventScope lab hosted remote science operations. 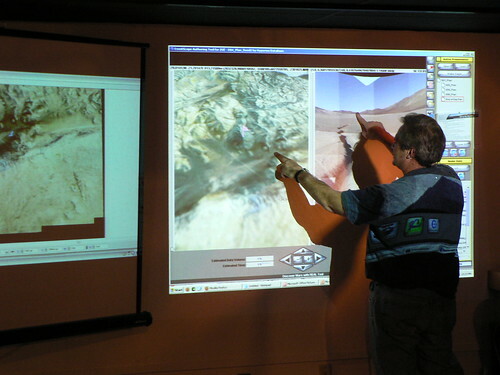 This intimate connection with the mission operations allowed the EventScope team to bring the experience of the mission to the public in near real-time. 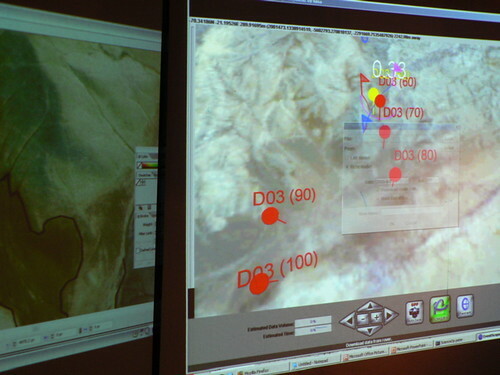 Playing to this strength, the lab developed strategies for releasing E/PO content in as close to real-time as possible. Myers, E., Coppin, P.W., Wagner, M., Fischer, K., Lu, L., McCloskey, R., Seneker, D., Cabrol, N., Wettergreen, D., & Waggoner, A. 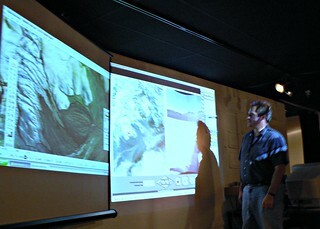 (2005, March). 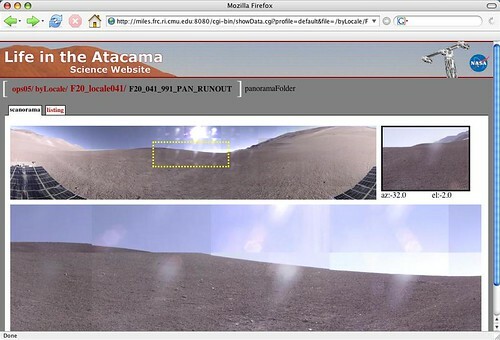 Using near real-time mission data for education and public outreach: Strategies from the life in the Atacama E/PO effort. 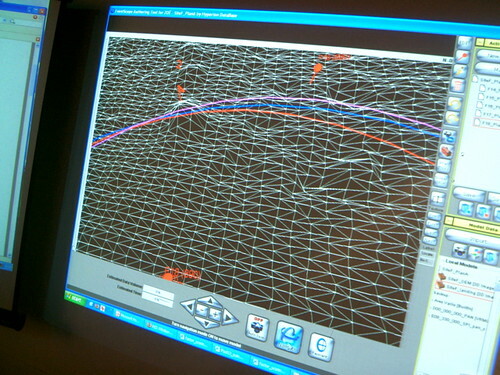 In Proceedings of the 36th Lunar and Planetary Science Conference (LPSC 2005). League City, TX. Click here to get the paper. 3. 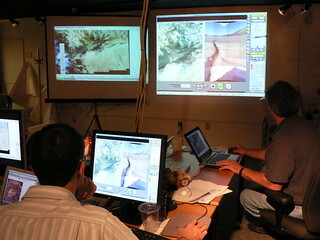 The science team pushed virtual "pins" into a 3D terrain in order to plan and communicate exploration requests that were then "uplinked" to Zoë. 4. Stitched panoramic imagery "downlinked" from Zoë. 5. 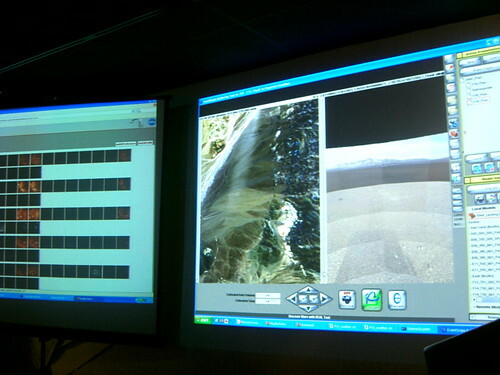 The downlink interface presented data products returned after each rover traverse. 8. 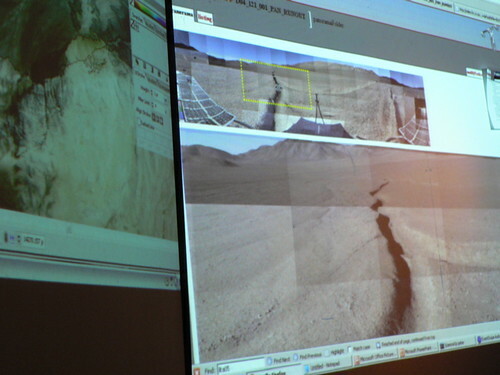 A geologist compares orbital 3D maps to the view of the terrain presented by the rover. 13. 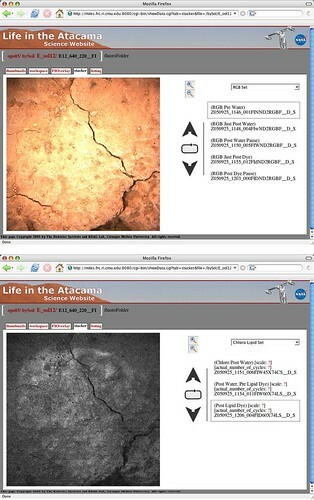 Data products from cameras mounted underneath the rover. A fluorescence imager was a critical tool that enabled the (possible) detection of microbial organisms. 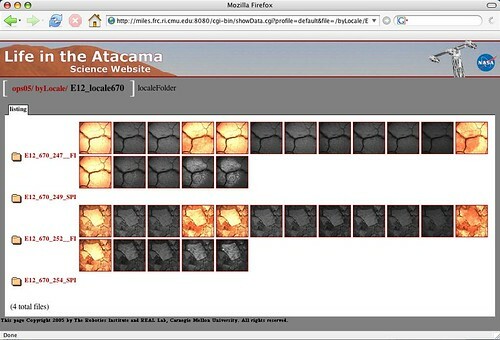 ==> A report about this project that includes references to other aspects of the Life in the Atacama Project is here.